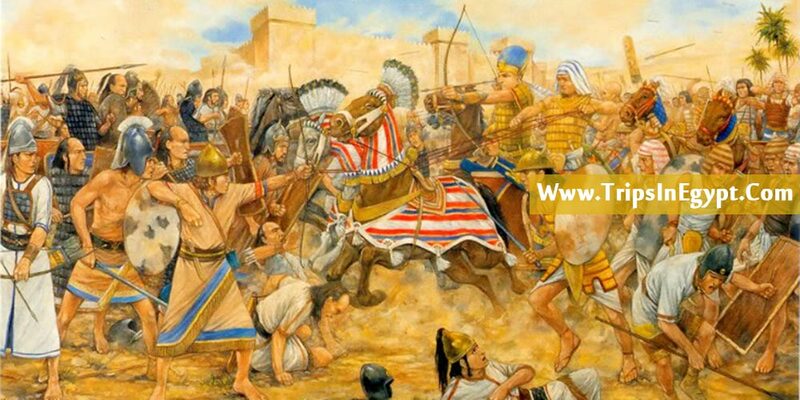 The ancient city of Megiddo has been the location for various battles over the millenniums but the most important is The battle of Megiddo which is known to be the first battle to be recorded in full details. During ancient history, it was a custom for the chief military scribe “Tjaneni” to inscribe all the records of the battle in hieroglyphs on the temple of Amen-Ra in Thebes, Karnak. In approximately 1479 B.C, on the 21st day of the first month of the third year of the reign of pharaoh ThutmoseIII , king of Egypt led his army to contain a revolt led by the king of Kadesh which was an ancient important city in the near East famous for having a powerful fortress and an economic hub. King Thutmose III took the throne from his step-mother queen Hatshepsut who was able to build an advance prosperous country and a very powerful, well- trained the organized army and pass it on to him before passing away. After her death, the kings of Megiddo and Kadesh rebelled against him as viewed him as unworthy and weak. So king Thutmose launched his first campaign against the coalition between the Canaanites of Megiddo, the Syrians of Kadesh and other cities that took part in this revolt that gathered outside the city of Megiddo (a crucial fortress, an important trade center, and a military route). 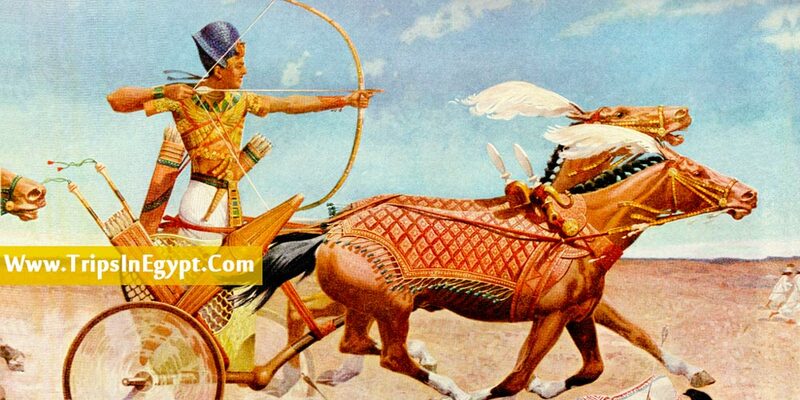 king Thutmose gathered a massive army between 10,000 and 20,000 men consisting of charioteers and infantry while the enemy’s army consisted of the same number of troops and weaponry. It took a base near the enemy’s forces, then he led his army through the dangerous path to the enemy’s base which gave him control over the element of surprise causing the enemy’s army to panic and also the pharaoh’s army access to very advanced foreign weaponry and intelligence tactics. The Egyptian army chased the defeated fleeing enemy’s and cut them down one by one and the remaining part of the army took shelter within the city of Megiddo. The battle turned into a siege in a matter of moments as the Egyptian army made their own defensive wall all around the city. The siege lasted for seven months before the defeated leaders surrendered the city then the Egyptian army entered and seized all the fortune. They found such as more than 20,000 horses, millions of grains and livestock, gold and silver chariots, various jewels and precious metals and anything that could hold any value. His victory improved his position which gave him control of the northern front of his kingdom where he can launch campaigns to other countries and expand his kingdom to distant lands. The children of the defeated leaders were taken to Egypt where they were educated in Egyptian school and later when they come of age, they will return back to their homeland with permission of the Egyptian pharaoh to continue serving him. His triumph over this coalition and the unbelievable fame of this battle established the success of all his future campaigns and his reputation in the history books. 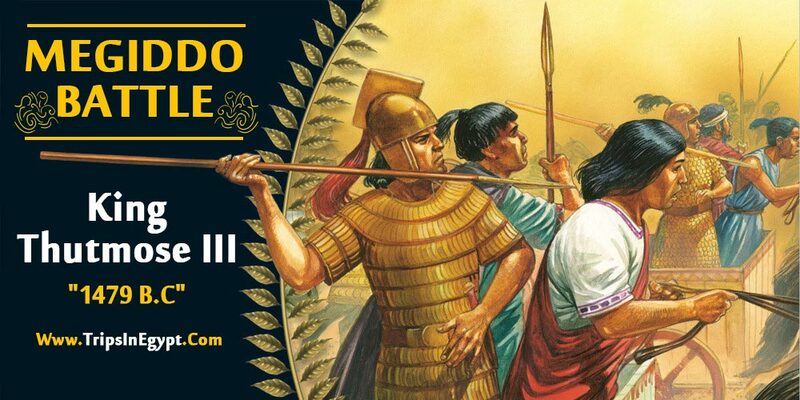 The name of Megiddo has many interpretations in various religious and historical resources, but in Egypt, it only refers to the great battle of Megiddo. Discover all the facts surrounding the battle by visiting the great Karnak temple in Luxor through our Egypt tour packages, make your experience more meaningful by boarding an enchanting Nile cruise through the core of Upper Egypt. Don’t miss the chance and cast your eyes on the endless wonders of Egypt like Cairo, Luxor, Aswan.